Motorcycles! Girls! Fire! Rock!!!!!!! 80’s glam at its finest @ Outlaw Jam, Maryland. The real deal started around 3 pm when the New York Dolls showed why they are considered the fathers of two styles that marked the 70’s.. Glam and Punk. Singing their old time hits like Personality Crisis, Pills, Trash and others began motivating the crowd that was starting to get into the rock ambiance. The weather wasn’t helping, reaching a temperature 102, but the hot bartenders from Cancun Cantina were making it comfortable with beers and coctails all day. it was 5:15 and Rikki Rockett comes out with a Spray painting in his drums FRED ROCK (wich stands for Frederick, MD), and Poison came out singing LOOK WHAT THE CAT DRAGGED IN. 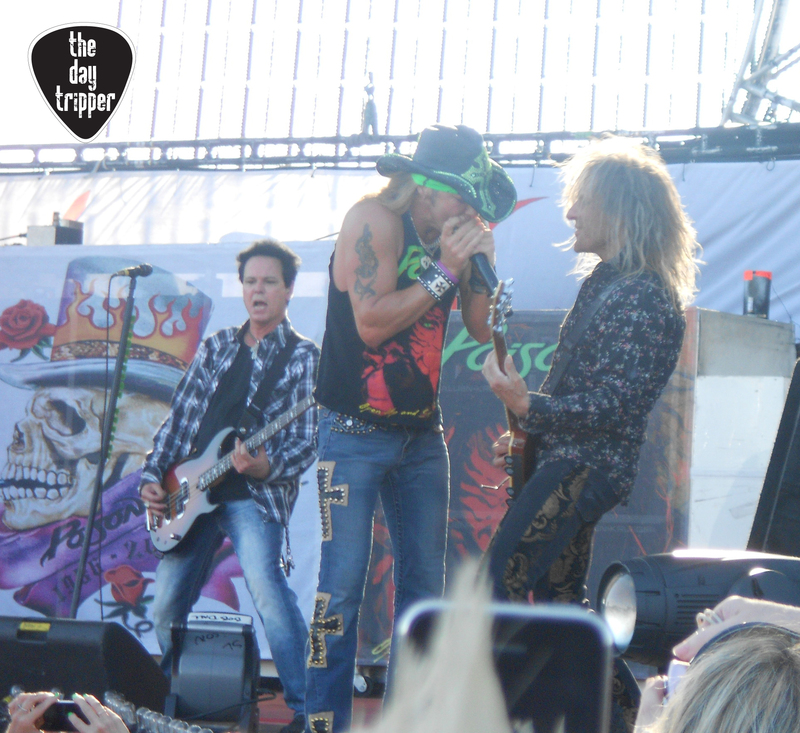 Bret Michaels showed high quality performance and the Band Played for over 75 minutes their classic hits like RIDE THE WIND, UNSKINNY BOP, FALLEN ANGEL, YOUR MAMA DONT DANCE, EVERY ROSE HAS ITS THORN, TALK DIRTY TO ME, NOTHING BUT A GOOD TIME and many others celebrating their 25 years. 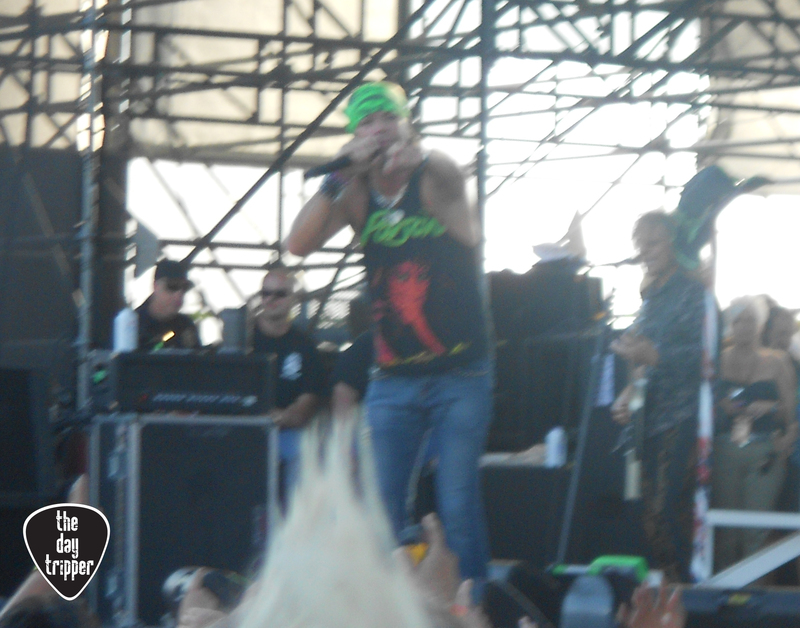 After Poison played people needed to refresh themselves because of the intense heat of the redneck town and I couldn’t find anything better to do that make my way to first row! Now the main event!! It started at 8:10 with the sound of the WILD SIDE! 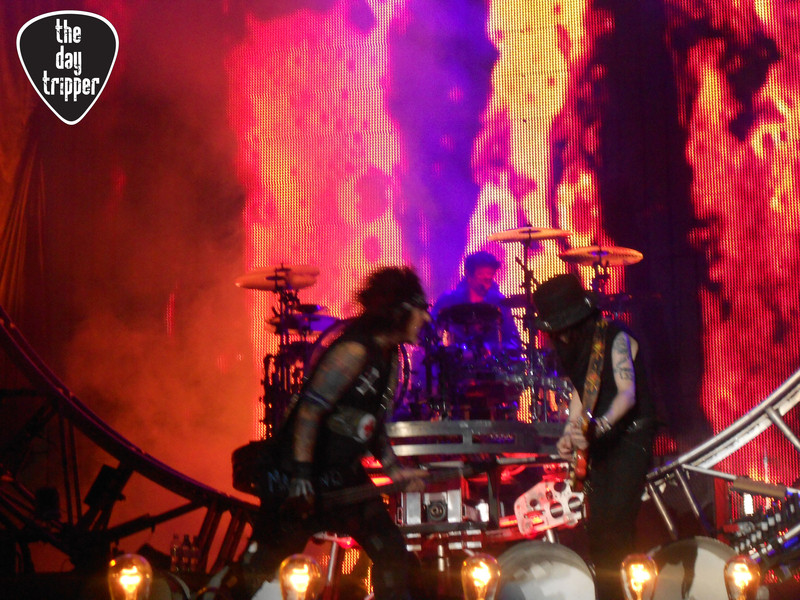 the crowd was amazing singing every lyric of the song, then they played SAINT OF LOS ANGELES receiving the same behavior from the crowd until the end of the song that Nikki Sixx Jumped into the crowd to hit a fan FOR USING A PROFESSIONAL CAMERA! at this moment I knew this was a totally memorable show! 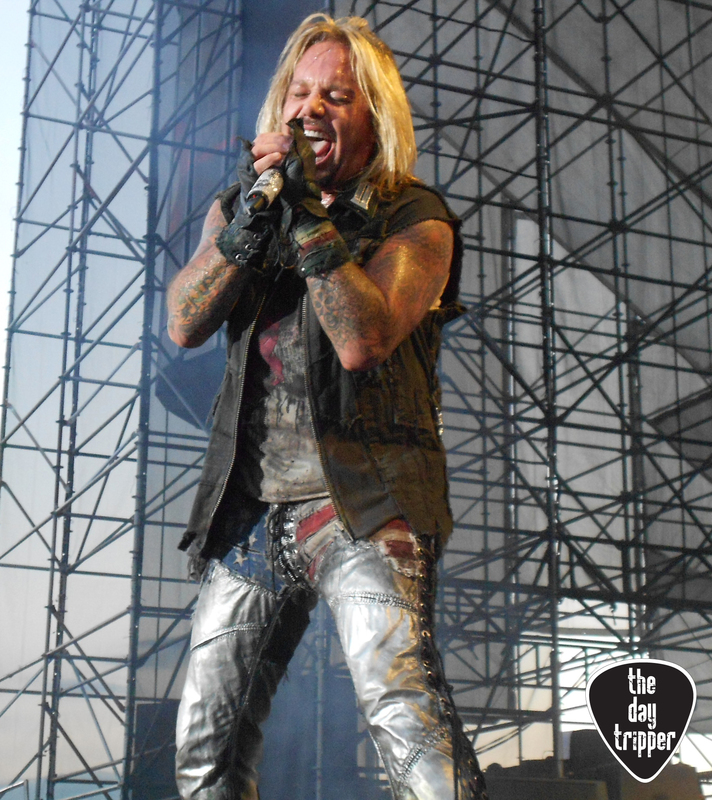 Vince Neil reached his highest notes! 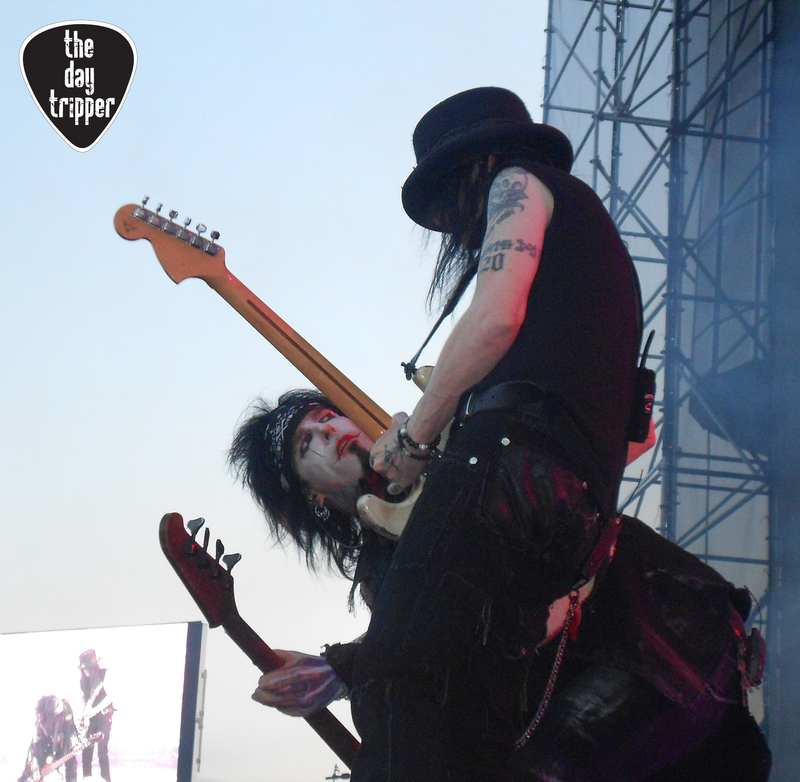 Mick Mars played amazingly well (He is the darkest guy that i have seen in my life, you can barely say he has facial expressions). 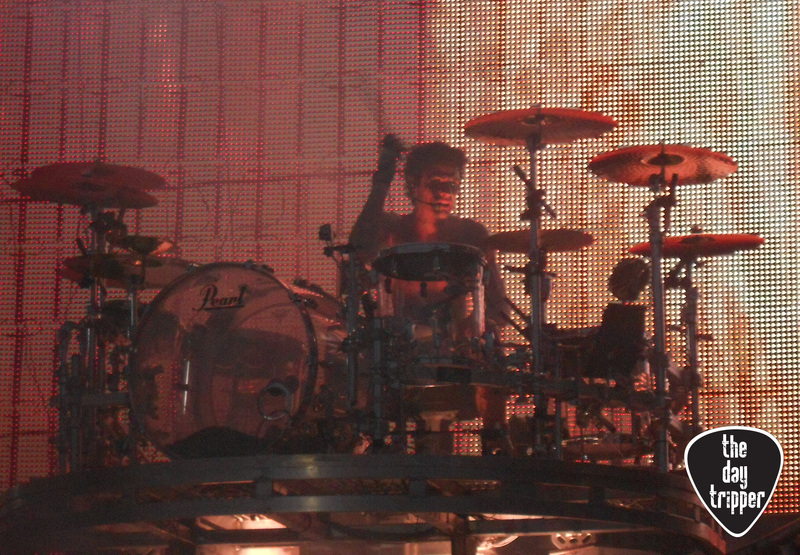 Tommy Lee was outstanding with his Roller Coaster Drum Solo and his performance as an entertainer. And Nikki, well what can I say.. being in front row you take your chances of being spat from him, well, he spat at me and in the end threw a bucket of fake blood all over us. AMAZING! 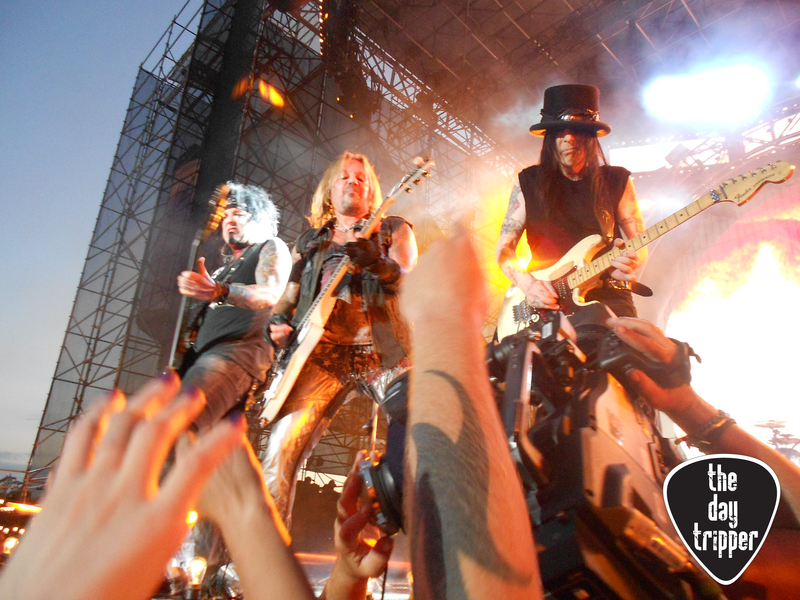 Motley Crue played all of their hits such as LIVE WIRE, GIRLS GIRLS GIRLS, TOO YOUNG TO FALL IN LOVE, HOME SWEET HOME, DR. FEELGOOD, DONT GO AWAY MAD, SAME OLD SITUATION, KICKSTART MY HEART and many others during over 90 minutes of SHOW. 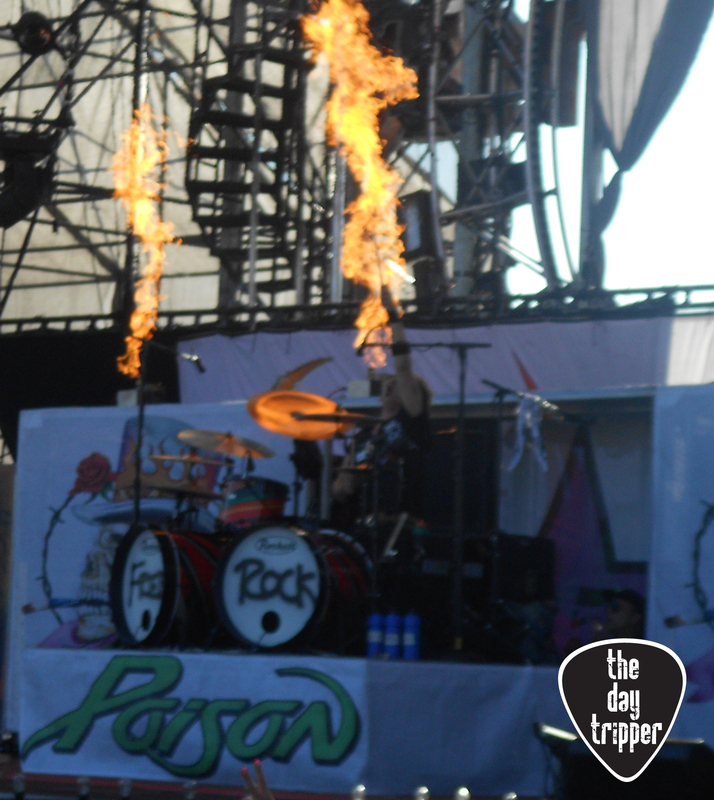 Girls, Lights, Fire, and Marihuana smell all over Outlaw Jam during the whole gig! Forgive me Father cause I have sinned… but I dont regret it! 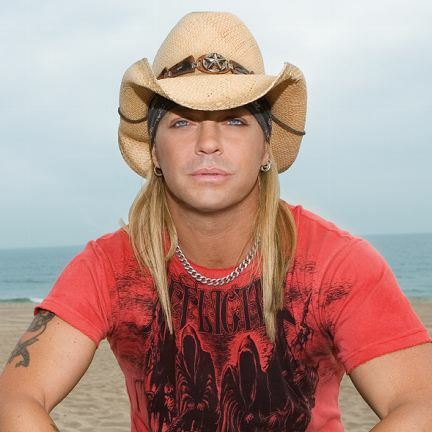 Hart Baur of The Miami Herald recently conducted an interview with POISON singer Bret Michaels. A couple of excerpts from the chat follow below. 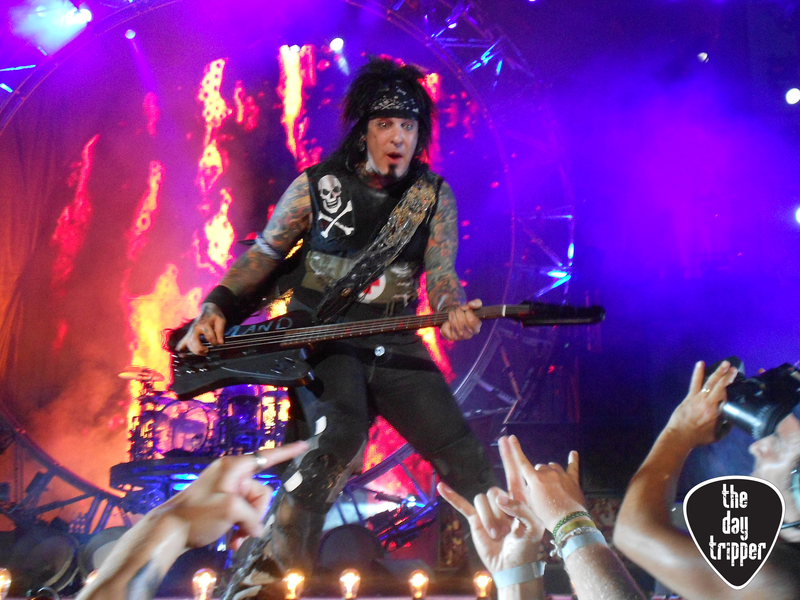 The Miami Herald: How is the tour [with MÖTLEY CRÜE and the NEW YORK DOLLS] going so far? Bret: It’s been incredible. Seeing all the generations of fans together is just mind-blowing and awesome. The energy the crowd brings to the table is great. It’s amazing to see how music can transcend age and be passed on. It’s really a great time for me out here right now. 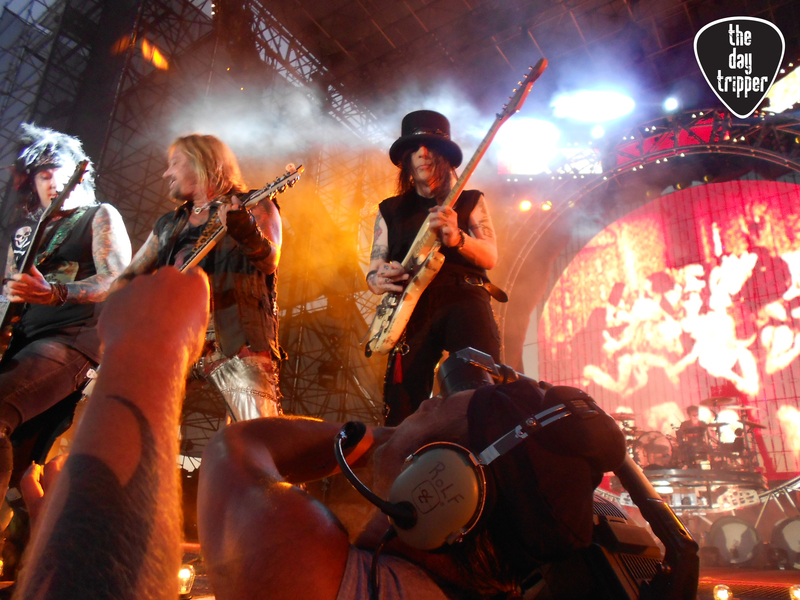 When we all hit the stage, the crowd is always energized and electric. It’s the best feeling in the world to hear the fans scream and sing the songs back to you; it’s the ultimate high. he Miami Herald: This bill seems like a little Glam Metal 101. Are the bands getting along? Bret: We’re having a blast. POISON, they’re all my brothers, and we all have nothing but respect for MÖTLEY and the NEW YORK DOLLS. TheDOLLS were a huge influence. They kicked things off and really paved the way for us. I hope the fans walk away feeling like they let all of their problems go and had one of the best nights of their lives. The Miami Herald: How much fun is it to still be doing this so many years later with the same guys? Bret: We literally built POISON from the ground up. So I’m still proud of that, and I know the guys are all as well. I’m also proud that we’re still together, and the fans are still loving it. What it really comes down to is the chemistry. No amount of rehearsing can ever give you that. The Miami Herald: Did you imagine that Poison would still be on the road in 2011? Bret: I think I did imagine a lifelong career with them. Life is about loyalty to me, you stick together. I’m still amazed by the guys and by what we’ve done together in our career: We turned nothing into something and never faked it. Being real is the one ingredient that leads to longevity, and 25 years later here we are. I honestly believe that having that kind of experience behind us, we’re a better band than we have ever been.POISON is a party, and obviously we aren’t kids anymore, but it’s still about having a great time. That’s what it’s always been about.